Abstract—This study proposes the Fuzzy-PROMETHEE method for the textbook selection. The triangular fuzzy number and ranking method are integrated into the PROMETHEE II method. The proposed method can handle the uncertainty in the decision making. An example demonstrates the usability and validity of the proposed method. As the transparent book selection policy is promoted in many institutions, this method can be realized as a platform that receives input, feedback and comments from various participating users. Index Terms—Decision making, Fuzzy PROMETHEE, textbook selection. K. K. F. Yuen is with Department of Computer Sciences and Software Engineering, Xi'an Jiaotong-Liverpool University, Suzhou, China (E-mail: kevinkf.yuen@gmail.com). T. O. Ting is with Department of Electrical and Electronic Engineering, Xi'an Jiaotong-Liverpool University, Suzhou, China (E-mail: kevin.yuen@xjtlu.edu.cn). 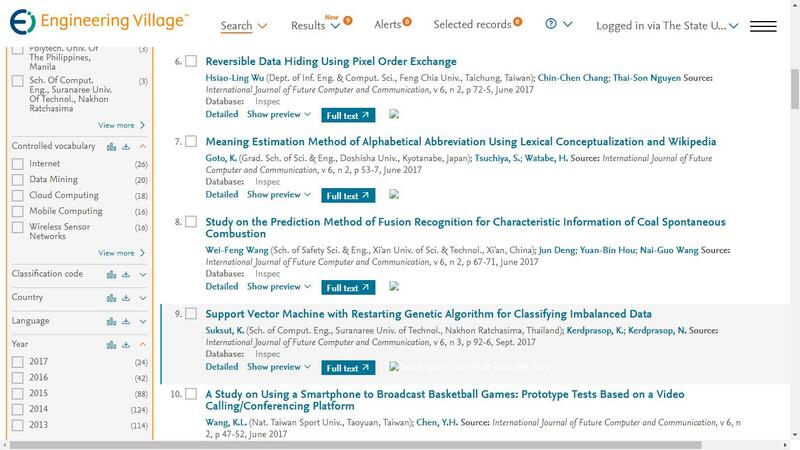 Cite: K. K. F. Yuen and T. O. Ting, "Textbook Selection Using Fuzzy PROMETHEE II Method," International Journal of Future Computer and Communication vol. 1, no. 1, pp. 76-78, 2012.